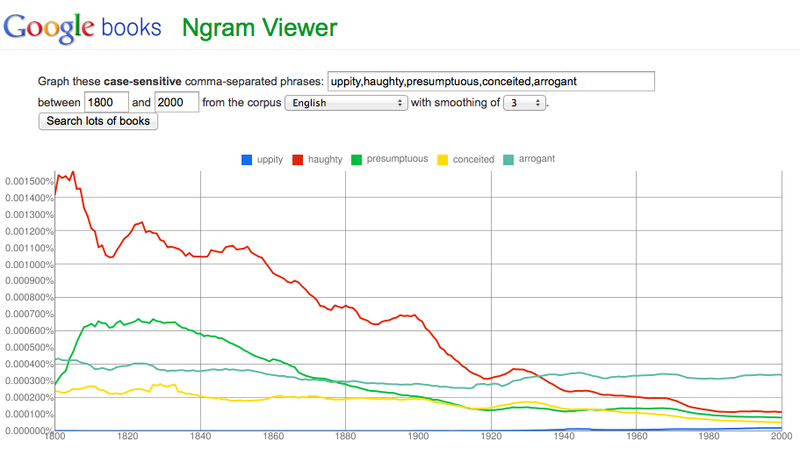 Mr. Verb: What's up with 'uppity'? A lot of people have no idea that the word "uppity," when applied to black people, has racist connotations, but it's getting harder and harder to understand how public figures, in particular, are able to maintain their ignorance of the term's history. President Obama has been a well-known public figure for several years and his conservative critics, in particular, keep making the "uppity" mistake. Gee, it's hard for me to read this even as ironic. That there might be an American English speaker who doesn't know it's racist. Maybe. I know a lot of clueless people, nobody that clueless. But can you even choke out a joke about Limbaugh and Beck not knowing exactly what they're doing? I didn't think so. If you google those, you get the goldmine I didn't find with a simple(r) search. It turns out, then, that it's not just an ironic use of the term, but a kind of 'taking back' of a once-negative phrase. I think it's only plausible deniability, not ignorance, that these people are maintaining. 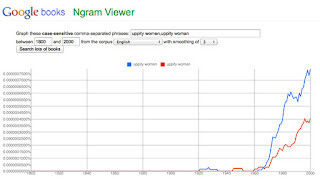 As a man, I can only use 'uppity women' when the context makes clear and the audience will surely understand that I'm being ironic. That seems, I guess, consistent with the notion that this is 'taking back' the term. 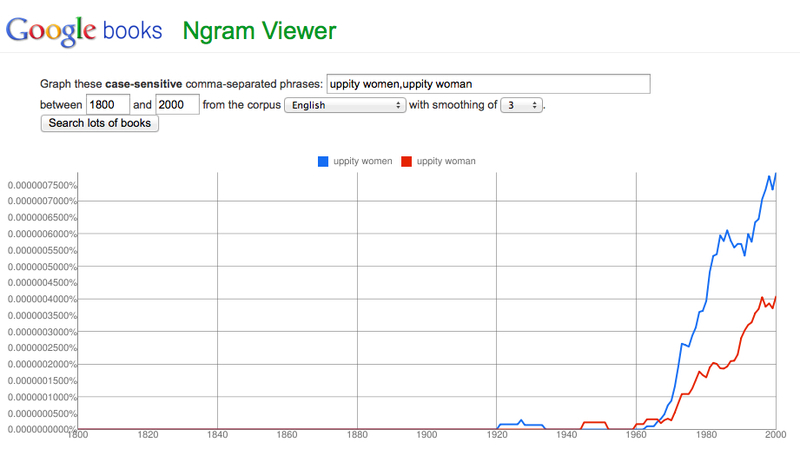 I have to say, I've never heard the word 'uppity' in a racist context before. It's not a word I use, because it sounds old-fashioned to me, but I nave no thought in my mind about it being racist. Thanks. 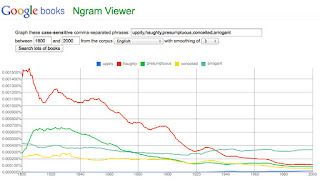 I guess given how infrequent it is in the Ngram data, you aren't alone in not using it, and I think it probably does strike me as old-fashioned too -- having thought about it for a couple of days, I wouldn't bet that young people know it. Maybe that means that the generalizations in the article I quoted and my own generalizations have to be restricted to those who use the term. jumping in late here, but dyed in the wool southern politicians called Obama 'uppity' during the 2008 campaign and then claimed they 'didn't know' there were racist connotations. Then, other southern men (also conservative) went out of their way to say in a public setting that it's impossible -- absolutely impossible -- not to know. So I don't think plausible deniability is much of an excuse. And you know what? They don't care.